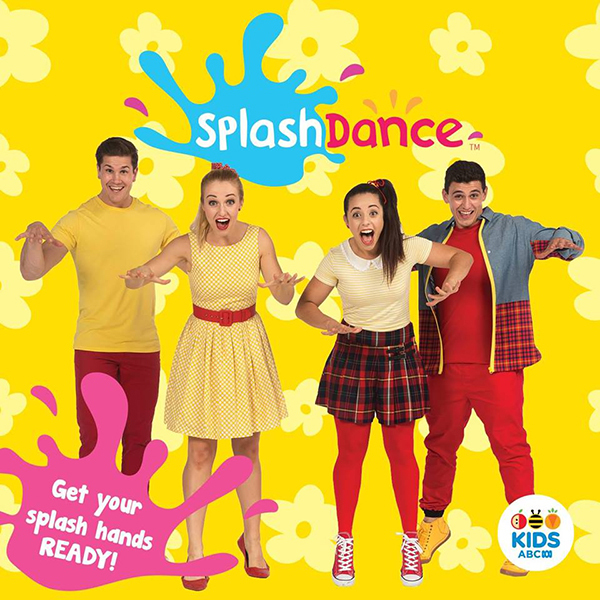 You may have seen them singing and bopping around on ABC Kids, and now the SplashDance crew has released a new album, Get Your Splash Hands Ready. Where this quartet gets its incredible energy, we have no idea, but if it keeps kids happy and dancing, we like it. Get Your Splash Hands Ready is packed with 28 brilliant tracks written by John Field, the musical mastermind behind more than 300 Wiggles songs. While this album has a similar kind of wiggly brightness, the songs are uniquely SplashDance, and the group infuses every song with its own shoulder popping, head bopping vivacity. Life on the Colour Wrong Farm is a lively country-inspired tune mashed up with horns in the background. Every animal on the farm is a hilarious accident of hue – the frogs are aubergine, the ducks are paisley, the horses are yellow. For young kids, the tune is catchy and will have their cute hips swaying, and for older kids, the ridiculous lyrics will have them in stitches. Dinosaur Stomp has a fast-paced, Caribbean sound, and makes a great action song for parties or playdates. Get Your Splash Hands Ready is available as a CD or digital download from ABC Music. SplashDance is touring New South Wales in June and July, 2016, so if listening at home isn’t enough, check Facebook for show dates.